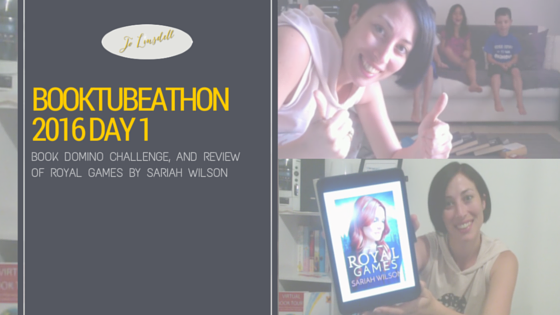 My first book for BookTubeAThon is Royal Games by Sariah Wilson, which I started reading pretty much at midnight and finished it by the end of the day. As a lot of the book was read during the night I'm counting this one towards the Read after sunset part of the challenge. I got a free copy of this book from Net Galley and it is my official first book read for BookTubeAThon 2016. What a way to begin the challenge! Hope the rest of my picks for this week are as good as this one was. I'm giving it a 5 star rating. I absolutely loved this book! Definitely a 5 star, and I will be checking out other books by this author in the future. I officially have a fictional crush on Rafe. Strong, defined characters. Well written. Had me rooting for Rafe and Genesis the whole way through, so much so that I almost forgot about the bad guy, them BAM! Highly recommend.